Under the direction of Cameron, NetServe365 has successfully: Increased number of managed nodes by over 300%; lifted revenues by 175%; and increased employee headcount by over 200%. Campbell helped to transform Clare Computer Solutions from a IT services-oriented VAR to a managed services provider. He created the company’s managed services division in 2002, and managed services now account for 80 percent of top line revenue at Clare. He currently serves on the ConnectWise Advisory Council. Jason Caras, Co-CEO, IT Authorities, Inc.
Caras’s company has been voted as Best Places to Work by the Tampa Bay Business Journal six years in a row. His company has been ranked in the Inc. 5000 Fastest Growing Private Companies in America for the last three years. Most recently, the company was ranked among the world’s Top 100 Cloud Service Providers in the World by Talkin’ Cloud, MSPmentor’s sister site. As leader of McLane Intel, Carruth grew annual revenues 27 percent overall, and monthly recurring revenue over 30 percent. He has been an active member of the MSP community, including participation in HTG and ConnectWise peer groups. Carter has grown annual revenues at Stealth Managed Services 100% in 2011 and for the third year running. The company pushed beyond break-fix customer support to offer both managed and cloud services. Castelino was closely involved with SolarWinds’ MSP partner program launch in late 2011. The IT management software company has always enjoyed a close following among MSPs, but never really had a formalized partner program for those partners. That all changed in late 2011, and more recently SolarWinds has been helping MSPs with virtualization and cloud management. Cattini joined Autotask as CEO in December 2010. Since that time, the SaaS provider has successfully expanded into Europe (UK, Germany, etc. ), Australia and several other international markets. Cattini has also expanded Autotask’s SaaS platform to support all major browser and mobile devices, giving MSPs anywhere, anytime access to business management information. In the last 10 years Caudell has been a innovative leader in managed financial Infrastructure services. Most recently, after a company he founded was acquired by a larger organization, Caudell led a team to produce $8 million in expense savings while positioning those same IT assets to drive further managed services revenue. Cava has grown Proactive Technologies from a bootstrapped MSP into a $4 million company in 5 years. Last year Proactive Technologies revenue was up 38 percent. Cava has done speaking engagements at ConnectWise IT Nation, local ConnectWise User Groups, and NYU’s business incubator, and he is scheduled to present to 150 business owners at the Taylor Business Groups’s BIG BIG this fall. Jeff Chandler, CEO & President, American Technology Services, Inc.
Chandler is an IT executive and entrepreneur with more than 35 years experience. He founded ATS in 1994 to address the IT needs of smaller organizations that have complex needs like large organizations, but lack access to quality support. Today the 50+ person company supports more than 300 customers in 17 states and has continued to grow revenue 8 percent to 25 percent year after year. Chappell founded Divergys in 2003 and has maintained a consistent growth rate between 15 percent to 25 percent each year. Process driven, Chappell has built a service team that achieves an average customer service rating of 95.3 percent quarter after quarter. Chase has built a marketing organization (Directive) and web-based software company (JoomConnect) that empower MSPs. The companies have 400 MSP partners actively using various collaboration and marketing services. Next up is JoomConnect TV, which will offer training, marketing, and other MSP-centric content. Raju Chekuri, President and CEO, NetEnrich, Inc.
Chekuri’s passion, perseverance and perspective have enabled him to create the dynamic and entrepreneurial culture that has become NetEnrich. He leads both the innovation and growth initiatives for the organization. Under his leadership, NetEnrich has successfully delivered a robust portfolio of IT operations services that enable solution providers and MSPs to manage their clients’ IT environments, from the closet to the cloud. 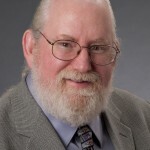 Coker is a recognized expert on managing business metrics and maximizing the performance of MSPs. His financial dashboard is widely used across the MSP market, and his educational sessions at channel conferences tend to be standing-room-only. Cook has been in the computer and network support business for over 30 years. Cook and his staff have increased their monthly recurring revenue 67 percent over the last two years. Cosgrove has been instrumental in building a conversation, a connection, from Kaseya to its customer base via a concerted community and social media strategy. The voice of Kaseya in social media across the internet for Kaseya, Cosgrove has also grown the Kaseya Connections community site from inception to over 7000 active members in just over 12 months. With over 15 years in the IT industry, Cosgrove’s connection to both channel partners and vendors lends unique perspective to his role at Kaseya today. Cramer is the repeat winner of Ingram Micro’s Advanced Technology MVP Award for 2011 – 2012. He oversees I.T. Works’ comprehensive cloud services program, and provides expertise in designing private, hybrid, and public cloud solutions for the SMB/SME markets. Crawford is a former MSP who now offers PR, marketing, search engine optimization and social media guidance to MSPs. His clientele includes MSPs across North America, and he has also promoted MSP milestones in Europe and Australia. Creely’s leadership has lifted Trilogy’s annual turnover nearly 80 pecent from 2009 to 2011.Trilogy won Managed Service Company of the Year 2012 at the Irish ICT Industry Excellence awards, was placed in MSPmentor 100 and in the Deloitte Fast 50. Trilogy now manages over 5,000 endpoints in over 30 countries. Ron Culler, CTO and Founder, Secure Designs, Inc.
Culler saw the need for multidimensional security in the Micro SMB segment and developed a model allowing SDI to manage thousands of locations from his company’s data center. SDI has grown grow by 200%. Susie Cummings, Vice President of Managed Services, SWC Technology Partners, Inc.
Cummings oversees sales, operations and management of segments accounting for 32% of annual revenues. She built SWC’s managed services practice from an initial remote network monitoring service into a remote helpdesk, vDBA, SharePoint, security, on-site customer staffing and virtual CIO service. The company landed on the MSPmentor 100 in 2011 and 2012. Cunningham is building EVault into a leading provider of cloud backup services for VARs and MSPs. Previously he founded Crystal Services, which was purchased by Seagate in 1994 and then became Seagate Software, where he piloted the organization through $350 million worth of acquisitions. At EVault, Cunningham brings great strength in building teams, driving organizational vision and growth, and catalyzing business and product success.